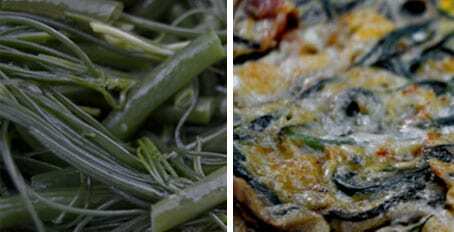 Raving about succulent spring grass is something normally reserved for those rearing animals rather than cooking but agretti, our new Spring veggie found at market, is something to shout about. 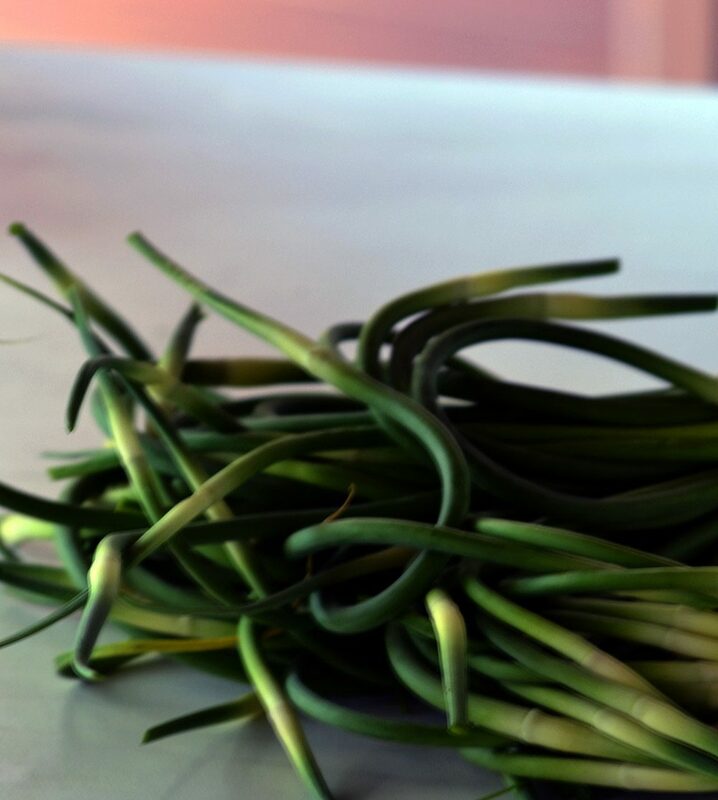 I must admit to looking at the bunch of grass with a sense of puzzlement before Tania one of the veggie ladies explained its name of agretti (little sour one), I Liscari or Barbetta dei Frati (brothers as in monks’ beards). Its rather strange swishing goatee like appearance makes me think more of Indian style fans. Always keen to try eating new things in Abruzzo, we asked for some recipe suggestions, the girls’ favourite was raw (simply wash and twist off its pink roots) and mix with cooked spring green beans, fresh chopped mint and olive oil – this was delicious, suddenly Sunday night supper in Abruzzo felt like we had been transported to Japan and eating one of their crunchy salads but with the sweet & salty taste of an Italian spring rolled into it; asparagus meets spinach meets well salty grass! They also recommended blanching them with a clove of garlic (that you remove) and chopping them into fresh ricotta, adding a glug of olive oil and serving with pasta. This we didn’t try but we did sauté them and then dab some crema di pecorino (young soft cream pecorino cheese 3 months old) and make a frittata, again their texture and sweet but salty kick was perfect.